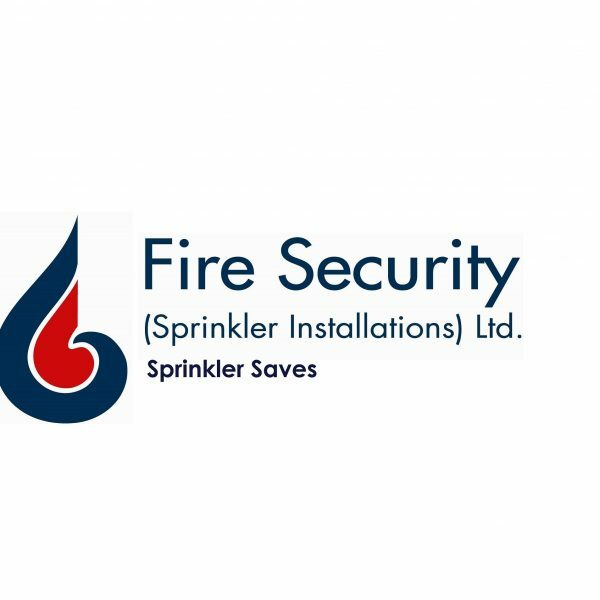 Fire Security (Sprinkler Installations) Ltd. have designed and installed sprinkler systems in a wide variety of premises ranging from small factory units to multi million pound pharmaceutical clean room facilities. Each had their own unique requirements. 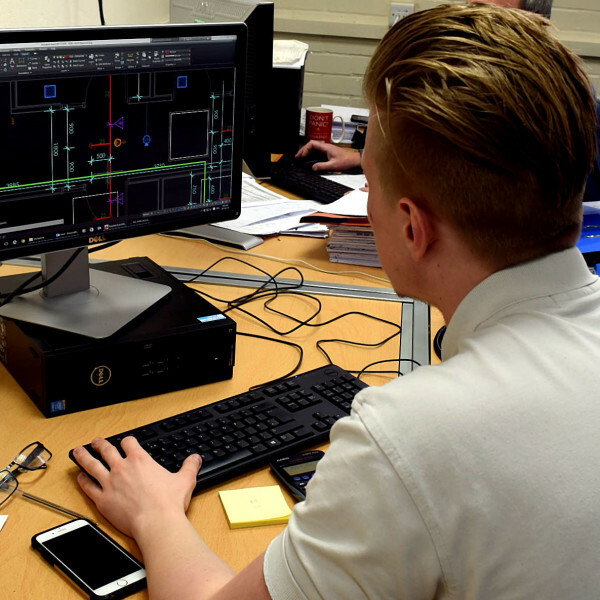 Our design team work with you and the relevant authorities, to produce a fire protection scheme that matches your requirements and meets all the necessary regulations. Our quotes come with an easy to understand specification produced for you, relevant insurers and authorities. The detail of our drawings is second to none and a key reason why customers choose us for their fire prevention needs. 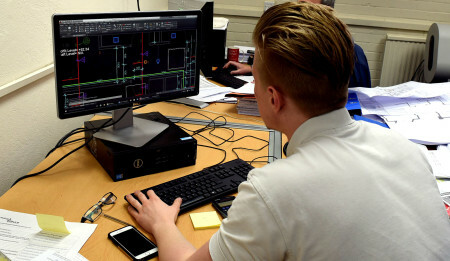 Our design engineers prepare detailed layout drawings together with hydraulic calculations. 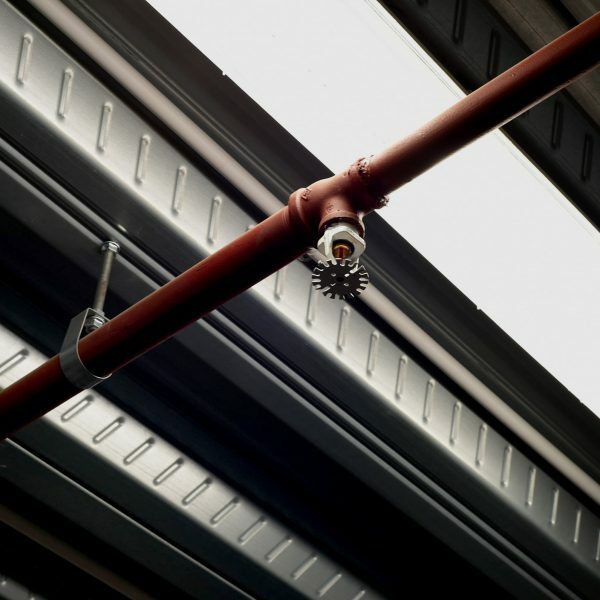 We ensure your sprinkler system is neither obstructed by nor obstructing other services such as lighting and ventilation ducting. 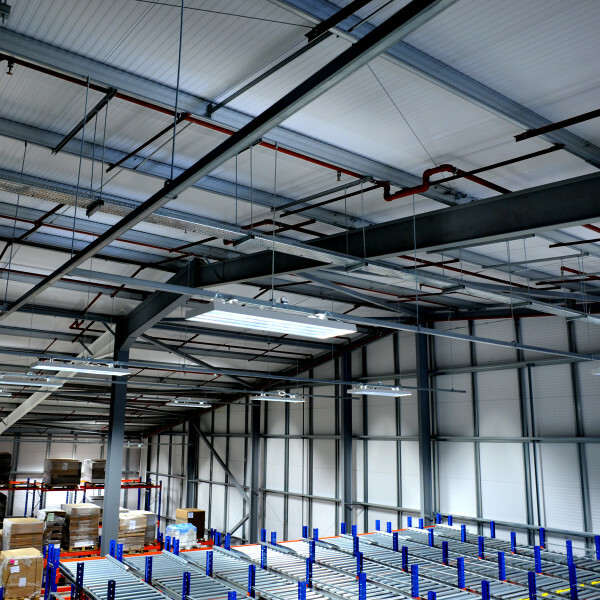 We also take your future expansion plans into account so your installation can be easily upgraded or extended with minimum disruption to your organisation in the future. We can guarantee our installations are of the highest standard because we make them here at our factory with our own in-house team. We control every step of the process so we are able to meet our delivery schedules. 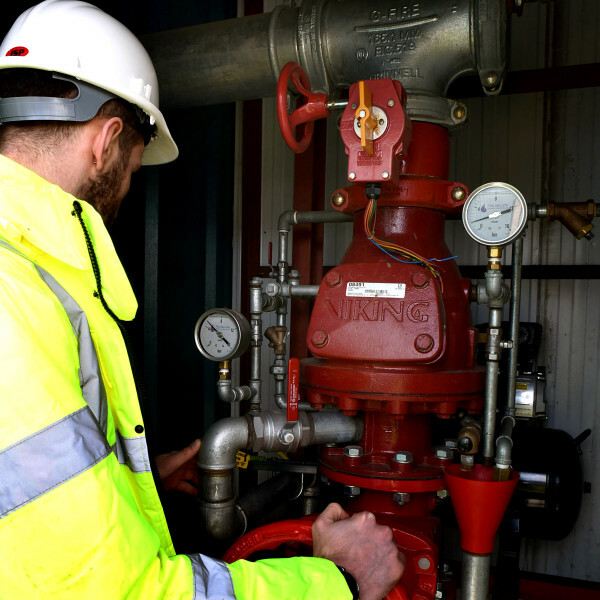 As a Loss Prevention Certification Board (LPCB) LPS 1048-1 Level 4 Approved Sprinkler Contractor, the highest approval level, you can guarantee a high quality installation by our own team of experienced engineers. Our installation engineers have gained a reputation for fast, efficient and thorough workmanship. They co-ordinate their activities closely with you to ensure your installation is fitted on time and we work around you to ensure your business continues. Once we have completed your installation, our service doesn’t end there. 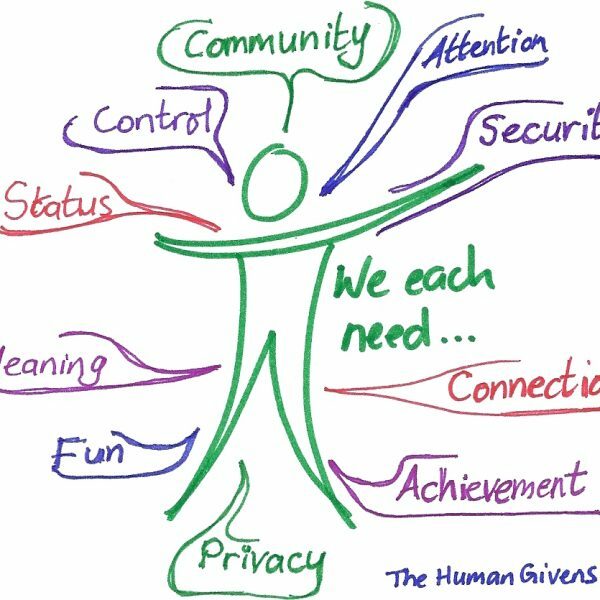 It is important that your system is tested regularly and we train your staff in how to carry out those simple weekly test routines. 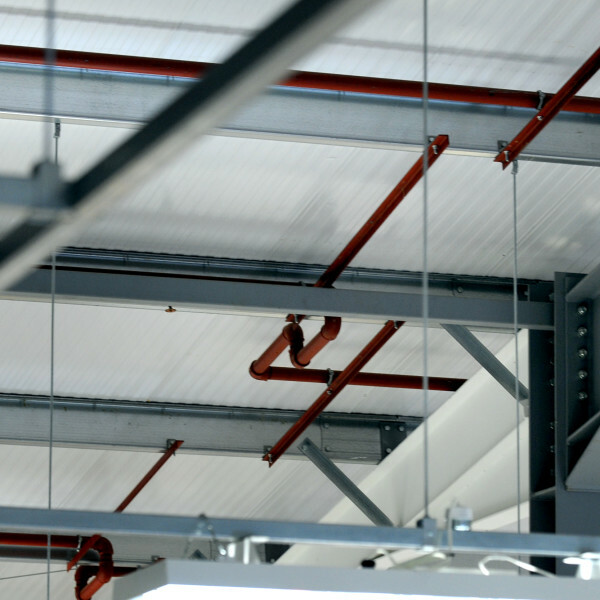 Fire Security (Sprinkler Installations) Ltd are experts in designing, installing and maintaining Fire Sprinkler Systems in schools and educational establishments throughout the United Kingdom. Below are just a few examples of the major fire prevention projects we have undertaken. Bespak is a leading supplier of drug delivery technologies to the pharmaceutical and biotechnology industries. 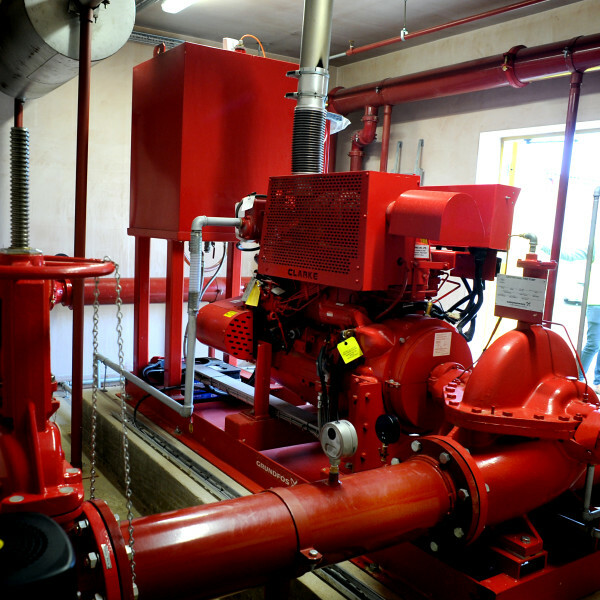 Fire Security designed and built a 4,370m2 sprinkler system, including 1,400m2 of clean room environment. The system was installed in stages to allow Bespak to continue production, while maintaining sterile conditions. The Dental Directory is the UK’s largest independent full service dental supplier. We designed and installed a sprinkler system with three separate interlinked storage tanks, providing water capacity of 430m3 in two existing 6,500m2 warehouses. Fenland Laundries provide textile rental and commercial laundry services. 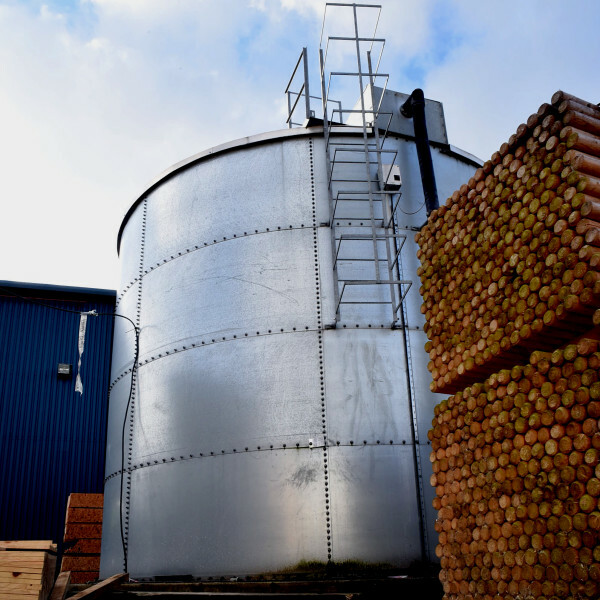 As well as designing and installing 3,500m2 of high hazard roof protection and 300m3 storage tank, Fire Security planned for the future ease of extending the system and the ability to upgrade its hazard rating. PPE Ltd manufacture point of sale and merchandising equipment. Fire Security designed and installed an automatic sprinkler system incorporating an AFFF foam induction system fed from a 1,000-litre vertical foam bladder tank that conforms to LPC Technical Bulletin 31. PPG Industries manufactures coatings, glass and chemicals. 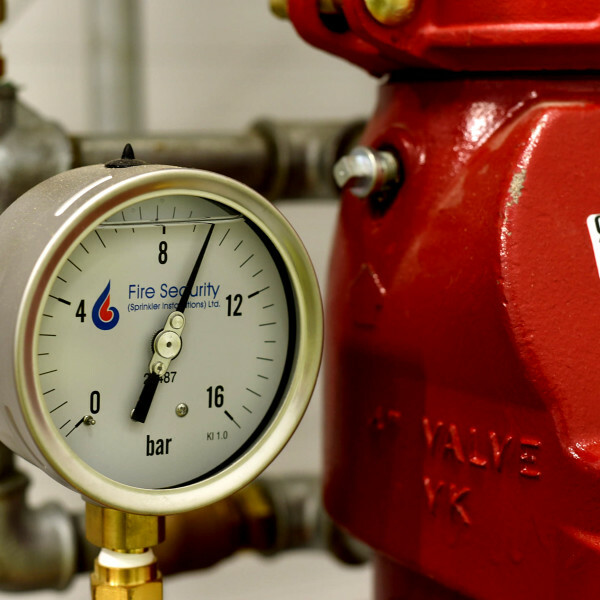 Fire Security designed a system in accordance with NFPA 13, 30 and 30B using only FM/UL approved materials. Fed from 8 wet control valve sets, the installation was carried out in 12 separate phases to allow warehouse operations to continue at all times. Ransomes Jacobsen manufacture turf care equipment and commercial grass cutting machinery. Fire Security designed and installed a system that met the customer’s US insurance requirements.